Our Innovation Lab spent a couple of months working on design concepts – we tried different configurations for seating, door sizes, window sizes, features and more. We even put it out to our Instagram followers to see what feedback we received, and to our surprise, it was overwhelming. Still to this day, our post related to the design concepts of this vehicle holds the record for most comments in our account: over 400! The result of that process is a vehicle with ample access to the rear. A three-person 2nd row and two rear fold-down seats in the back. 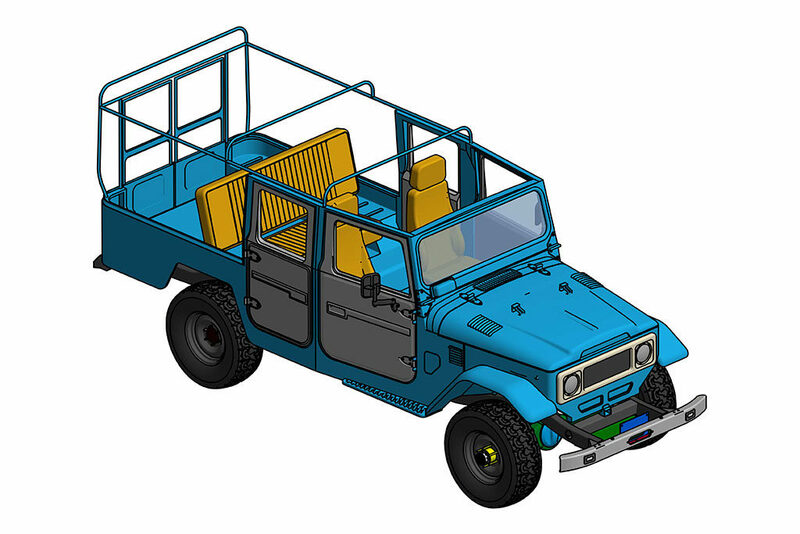 The 2nd row is foldable as well, which means that the vehicle can be configured to carry plenty of cargo. Also, an important aspect of our design was the roll cage. 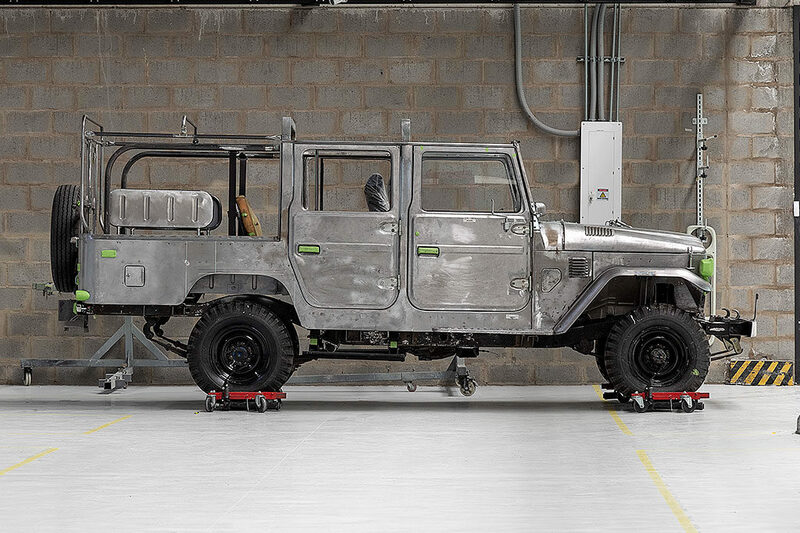 We incorporated the structure into the contours of the vehicle – simple to execute in CAD, but no small feat for hand-contoured steel panels. 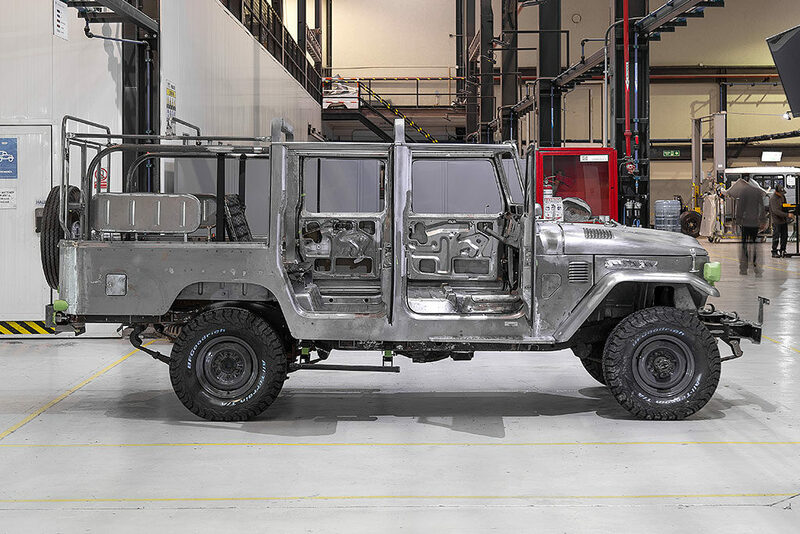 On that note, keep in mind that none of this is “off the shelf” – you can’t buy rear doors for a 4-door Troopy, you can’t buy a roll cage, you can’t just buy the windows and pillars. This is entirely custom fabrication, by hand, based on whatever design we produced in CAD. All the praise deserved for the end result, is for our talented and hardworking steel craftsmen. Thank you, gentlemen! We still have some wood to chop and steel panels to bend. But this one is getting close and it’s going to be hot. A hardtop version is next.